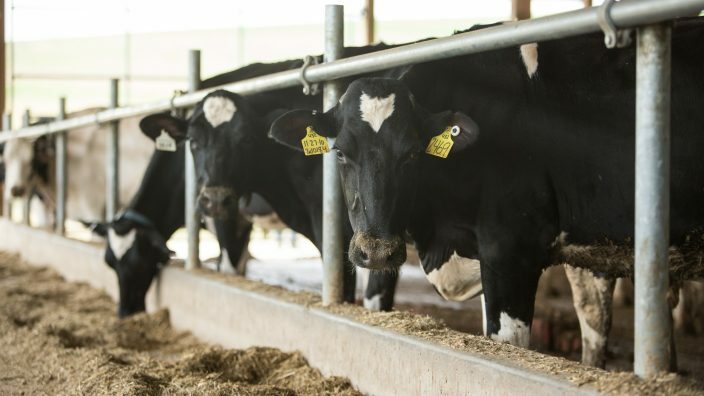 U.S. Secretary of Agriculture Sonny Perdue is encouraging dairy producers to consider enrolling in the new and improved Margin Protection Program for Dairy (MPP-Dairy), which will provide better protections for dairy producers from shifting milk and feed prices. With changes authorized under the Bipartisan Budget Act of 2018, the U.S. Department of Agriculture’s Farm Service Agency has set the enrollment period to run from April 9, 2018 to June 1, 2018. Dairy operations must make a new coverage election for 2018, even if they enrolled during the previous 2018 sign-up period. Coverage elections made for 2018 will be retroactive to Jan. 1, 2018. All dairy operations desiring coverage must sign up during the enrollment period and submit an appropriate form (CCC-782), and dairy operations may still “opt out” by not submitting a form. All outstanding balances for 2017 and prior years must be paid in full before 2018 coverage is approved. Dairy producers can participate in FSA’s MPP-Dairy or the Risk Management Agency’s Livestock Gross Margin Insurance Plan for Dairy Cattle (LGM-Dairy), but not both. During the 2018 enrollment period, only producers with an active LGM-Dairy policy who have targeted marketings insured in 2018 months will be allowed to enroll in MPP-Dairy by June 1, 2018; however, their coverage will start only after active target marketings conclude under LGM-Dairy. USDA has a web tool to help producers determine the level of coverage under the MPP-Dairy that will provide them with the strongest safety net under a variety of conditions. The online resource, which will be updated and available by April 9, allows dairy farmers to quickly and easily combine unique operation data and other key variables to calculate their coverage needs based on price projections. Producers can also review historical data or estimate future coverage based on data projections. The secure site can be accessed via computer, smartphone, tablet or any other platform. USDA is mailing postcards advising dairy producers of the changes. For more information, visit www.fsa.usda.gov/dairy or contact a local USDA service center.